Gamification in Learning- or Gamified Learning is here to stay. 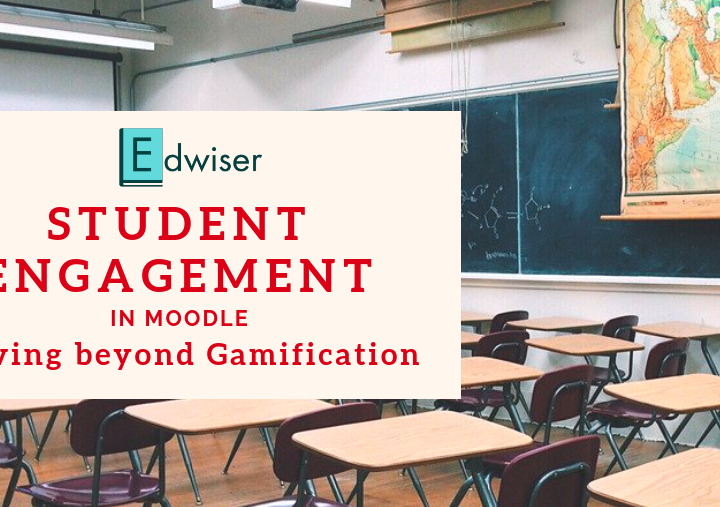 If you haven’t invested in adding gamification to your learning process, it’s time you took a serious look. Here’s why! The term “Gamification” has been around for a while; more than a decade to be precise. But gamification in learning or gamified learning has existed since long before—case in point, a rewards-based evaluation system. Schools have practiced a form of rewards system by letting students earn points on assignment or exam completion. Gamification is an extension of concepts like these. It’s the adoption of game-like concepts—fun, challenge, achievement—in non-game scenarios. If you’ve learnt a language on the Duolingo app, signed up for a course on Khan Academy or Quest to Learn, you’ll know what we’re talking about. As you’re learning, there’s a progress bar to keep you motivated. You earn badges as you progress or gain experience points (XP). You can compete with friends and view results on a leaderboard. All of this is part of the gamification experience. Gamification has gained tons of proponents owing to its impact on the learning process. But before we jump to ‘how’ you can include gamification in learning, let’s take a look at ‘why’. Why is gamification or gamified learning popular? “It(Gamification) is a design process that reframes goals to be more appealing and achievable by using game design principles”. The underlying message: Gamification in Moodle ⇒ makes goals more appealing ⇒ makes learning fun. For most students, learning and fun have always been poles apart. Gamified learning proposes to change this equation. According to a survey about gamification conducted among LMS users aged 18-75, 80% of the users believed that gamification would help them be more productive. Gamifying options such as rewards, leaderboards, and badges were viewed as factors to keep them motivated through the learning process. 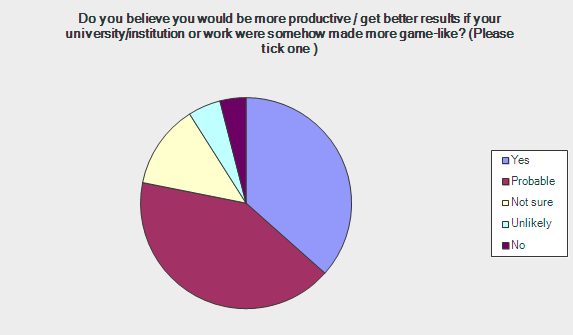 The survey clearly reflected a positive attitude towards gamified learning. Students agreed that an eLearning application would be more engaging if it was more challenging and competitive. That’s because gamification plays on learner psychology. Tom Chatfield, the author of Why Games are the Twenty-first Century’s Most Serious Business, explains that there are several ways through which games reward the brain and create a positive experience. He says that experience levels, long and short goals, rewards, creates a more satisfying experience. The same can be said about gamification concepts. Experience or Progress bars: These keep students motivated and make them feel in charge of their situation. This way, whenever they fall behind, they will buckle up and try to regain speed. Long and Short Aims: Due to their unpredictable nature, aims with varying difficulty and length will keep students engaged and intrigued. It cuts the “rote” nature of a traditional classroom. Reward and Feedback: Giving rewards at small intervals says that trying is what matters, winning and losing holds lesser priority. It is the journey that teaches you the most. Neurological Click bait: When you appeal to certain key areas of the human brain (like memory and confidence), you are definitely on the right track to make gamifying an enjoyable experience. Unlike traditional classroom learning where learning is extrinsic in nature, gamification is driven by the intrinsic need to participate and compete. It creates a sort of stickiness to the learning process. Introducing gamified learning is a matter of changing the way course content is designed. It’s about rethinking course presentation and student goals. It’s not merely about adding games- in fact, gamified learning might not include games at all. It all depends on your target audience, so that’s where you need to begin. You need to start by defining your target audience or the students who’ll be taking up your course. For example, list out the general age, their grade, prerequisite courses completed and so on. Once that’s done, define measurable goals you want to achieve with gamification. Say you want them to reach a particular range of points or achieve a certain badge. 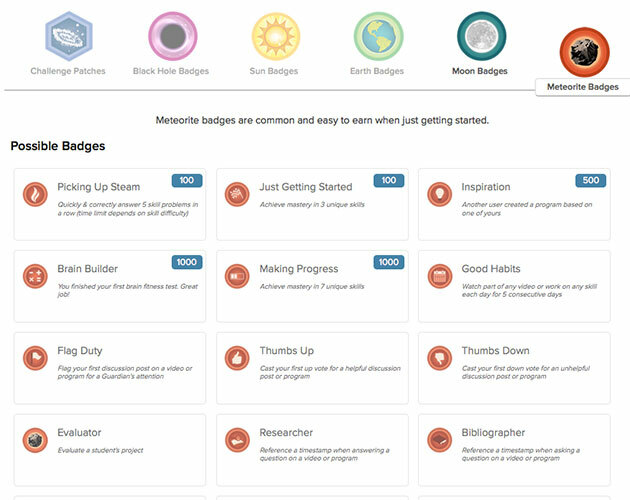 List out gamification options available and mark those which you can use—like a leaderboard, progress bar, badges, and implement these to motivate the participants. Work on adding learning activities that’ll allow participants to gain knowledge and skill. Get rid of the read-memorize cycle and introduce the practice-develop cycle. Make use of levels to help students progress, and introduce visuals, audio, games, and interactive elements to appeal to different learner senses. Gamification vs Game-based Learning: While gamification is the introduction of game-like scenarios, game-based learning is the introduction of games in the learning to assist the teaching process or to help students develop a particular skill. Gamified learning would be the introduction of points on completion of courses, while game-based learning would be the introduction of a “match-the-pair” game to improve memory. The use of Game elements (like rewards and feedback) to make courses more engaging for students. Investment for hardware in Gamification is close to nothing. You just need your copy of Moodle to start with. The modification of a game with the motive of teaching theoretical concepts, practical applications and rote subjects. When it comes to Moodle LMS, there are several plugins which allow you to gamify your Moodle courses. These plugins range from gaming, quizzing to the introduction of other concepts such as levels and badges. The plugins listed below are a great start. Based on the subject matter at hand, you can choose to pick a few to get started. 2 Quizventure 2.9, 3.0, 3.1, 3.2, 3.3 May 2017 Loads quiz questions from the course and sends possible answers in the form of spaceships. You have to shoot the correct answer. 9 Stash 2.9, 3.0, 3.1, 3.2, 3.3, 3.4 Aug 2017 Add an inventory of items to your course and let your students find items by exploring the activities. 10 H5P All versions from 2.7-3.4 Jan 2018 Create and add rich content inside your LMS for free. Some examples of what you get with H5P are Interactive Video, Quizzes, Collage and Timeline. The overall strategy should not be complicated. In other words, avoid too many rules and iterations. Don’t overwhelm your students. Focus on completing the goal and picking up all the key points. It’s human tendency to like being appreciated for all their little achievements, so go ahead, shower it on your hardworking students. Badges, congratulatory pop-ups, surprise rewards, online benefits are some of the options that you may consider. The eLearning industry is ever changing and gamification is a concept that’s being widely adopted. If statistics were an indication of anything, the market growth of gamification that was $1.7 billion in 2015 will be reaching $5.5 billion this year. Gamification is no longer a buzzword. Today, it’s the norm. That’s all from us. Happy Teaching! Just because badges may not have a significant impact within education does not mean gamification in general is a failed experiment. My son is 9 years old and typing over 50 words per minute. How? Because of a typing game he”s been obsessed with it. If his typing practice wasn”t gamified he”d probably still be typing with 2 fingers. It”s the best example I”ve seen so far where gamification is extremely effective. You’re right- gamification does indeed bring out astonishing results. Thank-you for sharing a real-life example with us. It more than empowers our belief that gamification in education is here to stay!